East Cheshire Hospice held a thank you event for solicitors who supported the charity’s Will Week. A total of £7,618 was raised after local legal firms donated their time and expertise to help the Hospice. Solicitors waive their usual fees in return for a donation to the charity during October’s campaign. Alfred Newton, Bredbury; Stratford Solicitors; Poole Alcock, Sandbach; Woods Solicitors, Alfred Newton, Stockport and Wilmslow and PSG Law. Hospice Corporate Fundraiser Kate Bowmar said: “Will Week is an important part of our fundraising calendar and we thank solicitors for their kind support. Will Week is from Oct 7-11 this year and coincides with Hospice Care Week. A list of participating solicitors will be published on the Hospice website and on social media pages in July for bookings. 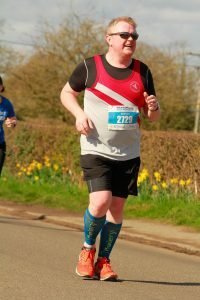 Runner Damian Lacey has both professional and personal experience of the care offered by East Cheshire Hospice. As a Macmillan nurse he is part of the support network which provides end-of-life palliative care for Hospice patients. Damian’s mother-in-law Linda Tute was a recipient of that care before her death from oesophageal cancer last September, aged 75. The family were so grateful for the way Linda was looked after that Damian is raising funds for the Hospice by competing in the London Marathon on Sunday, April 28. It is Damian’s first marathon and when Sir Andy Murray fires the starting gun for the field of 42,000 it will complete a remarkable journey. 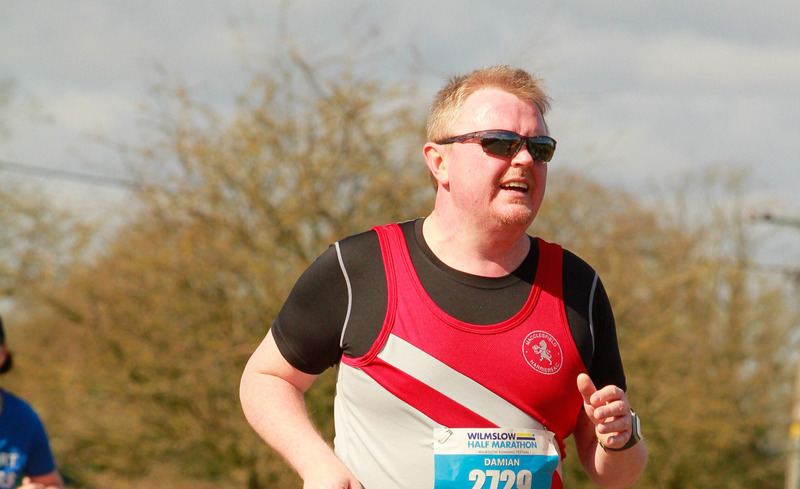 The Macclesfield Harrier said: “I only started running just over four years ago and it was a case of couch to 5k for me. Then I couldn’t run 10 feet never mind 10 miles. “Linda used to joke about my figure and now she’s having the last laugh because I’m running the marathon. Linda and husband Martin ran a grocery business in Bollington before retiring. Martin is a member of Macclesfield Male Voice Choir and a former Pott Shrigley Cricket Club player and both organisations have rallied round to support Damian, along with wife Sheona and sister-in-laws Kerry Tute and Meryl Goodwin. Damian, from Tytherington, is part of the Macmillan Specialist Palliative Care team at Macclesfield Hospital. He added: “We work in close collaboration with the Hospice even though we’re separate organisations. I know about the Hospice services professionally but when Linda was on the receiving end it gave me a different perspective. Light Up The Night, How did it go? Scores of families turned Light Up The Night into a major triumph for East Cheshire Hospice. 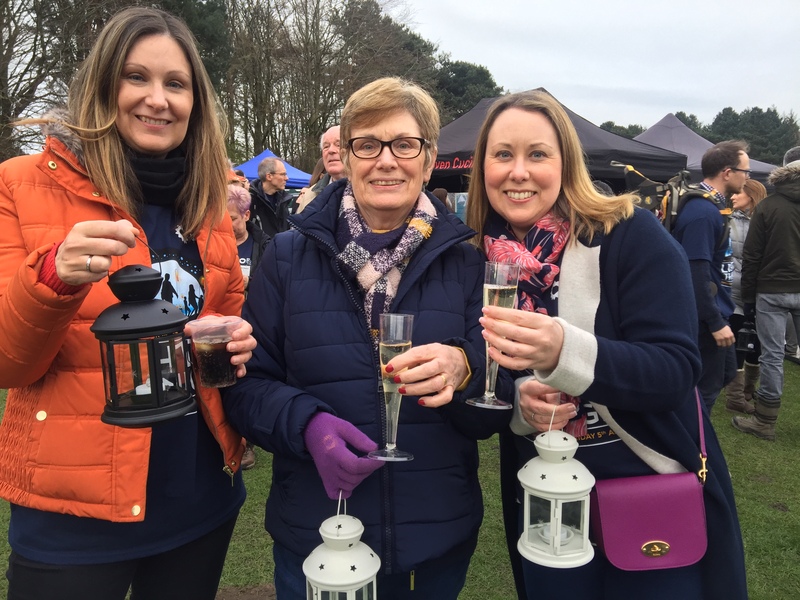 Around 600 walkers strolled past the tranquil setting of Capesthorne Hall before a firework display. For many Friday’s event was a poignant occasion, remembering loved ones with special memory lanterns. Among them Susan Brown whose husband Tony (69) died last May and was treated by the charity’s Hospice @ Home service. Daughters Liz and Helen have helped raise £1,000 in their father’s memory. The event is hoping to raise £70,000 and walkers are urged to return sponsorship monies by the end of the month if possible. 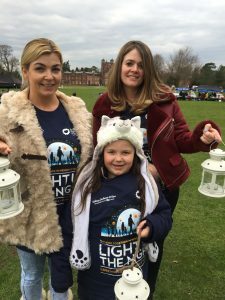 Emma Cleek, from Tytherington, and daughter Lottie (7), a pupil at Marlborough Primary School, were joined by Emma’s sister Alex Fiddler. The trio were remembering auntie Val who died in a hospice two years ago. 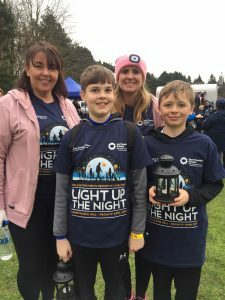 Toby Beesley, whose mum Beth is a nurse at East Cheshire Hospice, was joined by Ollie Stubbens, Nicky Holmes and Georgie Vaughan. The walk was started by Hospice Patron Charlie Lawson, the former Coronation Street actor, while Hospice Chaplain Margaret Lillis led a minute’s reflection. Round-the-world sailor Heather Broadbent spoke about her forthcoming challenge and Hospice links. Pam Webster, a Health Care Assistant at the Hospice, explained how every step and every pound raised makes a difference to patients. The event was again sponsored by Ford dealers Sidney Jackson. 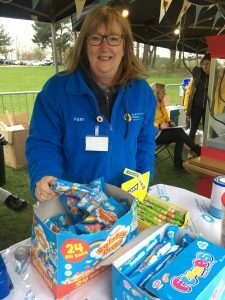 Jo Boyd, Events Manager at the Hospice, said: “We’d like to thank our sponsors and all those who helped in many different ways, including more than 50 volunteers. The venue is fantastic. 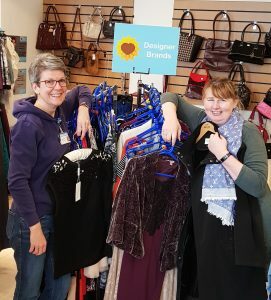 A Designer Sale is being held at the East Cheshire Hospice charity shop in Thornton Square on Wednesday, April 10, from 5 pm until 8 pm. Outfits by famous designers will be on offer at a big discount to normal prices. Shop Manager Angela Prior said: “Customers can just pop in on the night and have a look and find a beautiful outfit at an amazing bargain. “We’ll be selling ladies and gents wear, wedding outfits, party and prom and cruise wear, men’s shirts and suits, leather and suede coats, handbags, shoes and much more. Angela, who took over in September, said: “I was made very welcome by the amazing volunteers who give up their spare time to help me and the assistant manager Kim run the shop, and by the regulars who pop in and share a story. The shop sells clothing for all ages, plus items including handbags, purses, wallets, travel bags, rucksacks, jewellery and accessories, furniture, electrical goods, kitchenware, ornaments, pictures and frames, toys, books and games. Opening hours are 9.30 am to 4.30 pm Mon-Sat and its Facebook page @ECHShopatThorntonSquare is updated weekly. Six companies have already signed up to the East Cheshire Hospice Corporate Challenge. Their aim will be to invest a £100 start-up loan and make as much profit as possible during May. The profit will be donated to the Hospice and used directly to help care for patients with life-limiting illnesses, their families and carers. Scientific communications agency Bioscript will be defending their title won last year when they made a healthy £2,000 profit. Competing against them so far are Chess ICT, Pan European Networks, McCann Medical, Ashfield Healthcare and Context Public Relations. It is not too late to enter and for more details go to eastcheshirehospice.org.uk/corporate-challenge or contact the Hospice’s Corporate Relationships Manager Kate Bowmar on 01625 433477 or kbowmar@echospice.org.uk. Kate said: “Fundraising is great way for employees to gain new skills, develop confidence and give something back. A gala awards evening will be held at The Colony HQ in Wilmslow on Thursday, June 6, when the winners will be announced. 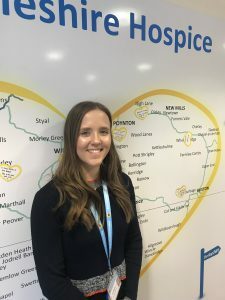 David Pollock, CEO and founder of telecoms provider Chess, said: “It’s important for a modern business to play our part in the wider community and the Hospice does phenomenal work looking after people at end of life. “The Corporate Challenge is great for employee engagement and staff want to participate. Our staff have jumped out of planes, baked cakes, run 10ks and dressed up in silly clothes. Fashion, fizz and fun turned the latest What Women Want extravaganza into a roaring success. 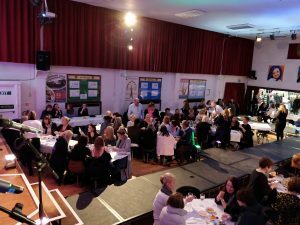 The glitzy fashion show at Tytherington High School drew an audience of 200 guests, raising £4,500 for East Cheshire Hospice. What Women Want is made up of Julie Barnes, Jo Millward, Elaine Burgess, Jayne Carter and Jill Harding who have spent the last decade fundraising tirelessly for the charity. They have raised an amazing £270,000 during that time and the latest cheque for £40,000 was handed over to the Hospice during the evening. Models strutted their stuff on the catwalk, displaying the latest High Street labels from Fuzzy Goose and Demand Attire. 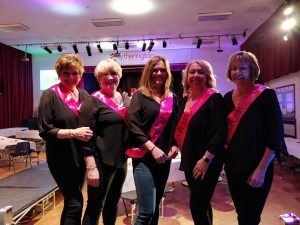 All models have been affected by cancer, either themselves or a family member.Community choir Do Youth Thing provided top-class entertainment. There were also pop-up shops and a team of waiters ensured the drinks flowed and everything went smoothly. 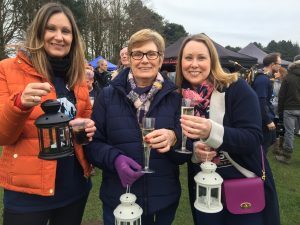 Lisa Ball, Community Fundraiser at the Hospice, said: “Once again the What Women Want excelled themselves and they certainly know how to throw a party. 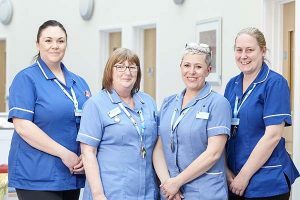 “Their dedication and commitment to the Hospice is quite staggering and they work so hard to support us. All the funds raised helps support patients in practical ways by purchasing much-needed equipment. 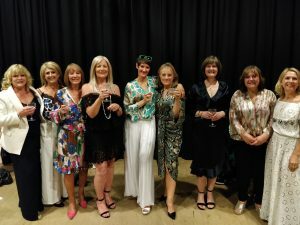 A ball marking the What Women Want committee’s 10th anniversary raised £37,000 in November, taking the group’s total beyond the magical £250,000 target. The group has decided not to hold a ball this year while they take a Glastonbury-style break to recuperate.